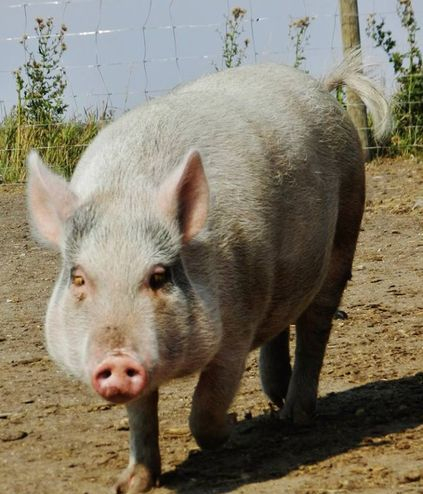 Rosie is our pot belly pig- we hand raised her from 6 days old. She traveled to work with Kayla for the first 2 months of her life, and is the most spoiled pig you will ever meet! She happily lives out in her barn yard, and enjoys long lays in her piggy pool, and eating anything she can!